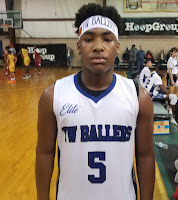 Cameron Piggee Guard (NJ Bulldogs) – Piggee is a combo guard that has nice length and long arms. He can score in a variety of ways and rebounds his position. We saw him frequently use his pull up jumper off the bounce and also has the ability to draw fouls and get to the FT line. We liked how he would push the rock and find open three point shooters in fast break and secondary break situations. He scored 10 points in the game we watched. 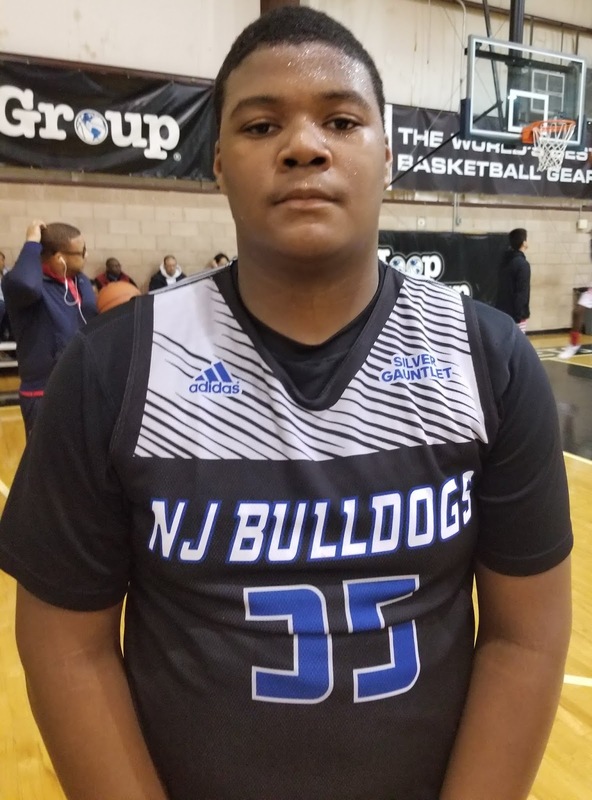 Sydir Mitchell Forward (NJ Bulldogs) – Mitchell is a space eater in the paint for his Bulldogs team. He has nice size and understands his roll and plays to his strengths. 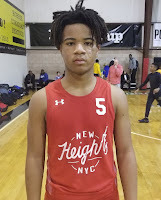 Sydir has a nice touch and can step out to 15 feet and knock down the short corner or free throw line jumper. If he gets you on his him it is a bucket around the basket and he is a good rebounder. He has 9 points when we watched him play. 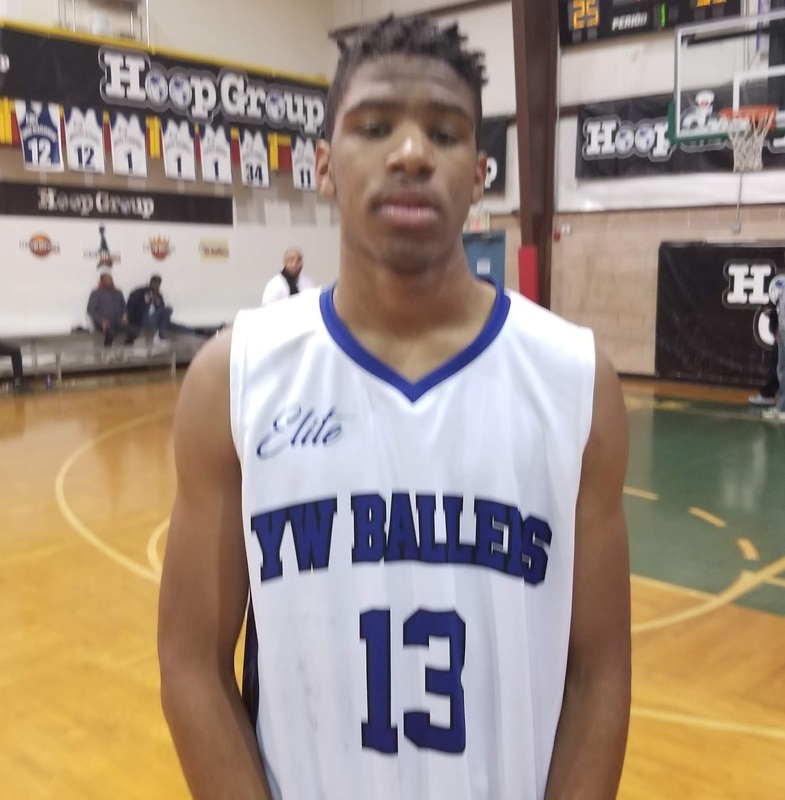 Saeed St. Fleur Guard (YW Ballers) – Saeed is the catalyst for his YW Ballers team that was the surprise of the tournament knocking off two good team in pool play and advancing to the final 4. He is a strong compact point guard that get anywhere on the floor either scoring or dishing to shooters he has all around the perimeter. St. Fleur can get anywhere on the floor he wants and he plays fast always putting pressure on the defense. He tallied 13 point in both games we watched. 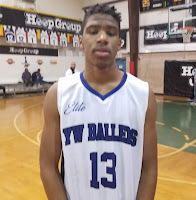 Darrius Phillips Forward (YW Ballers) – Phillips is a strong athletic forward that controls the paint for his team. Right now he better defensively than offensively because he rebounds everything and blocks a lot of shots. He has a quick jump and he plays hard with a lot of energy and toughness. He can score it around the basket in the half court or in transition. He scored 14 points in a game we watched. 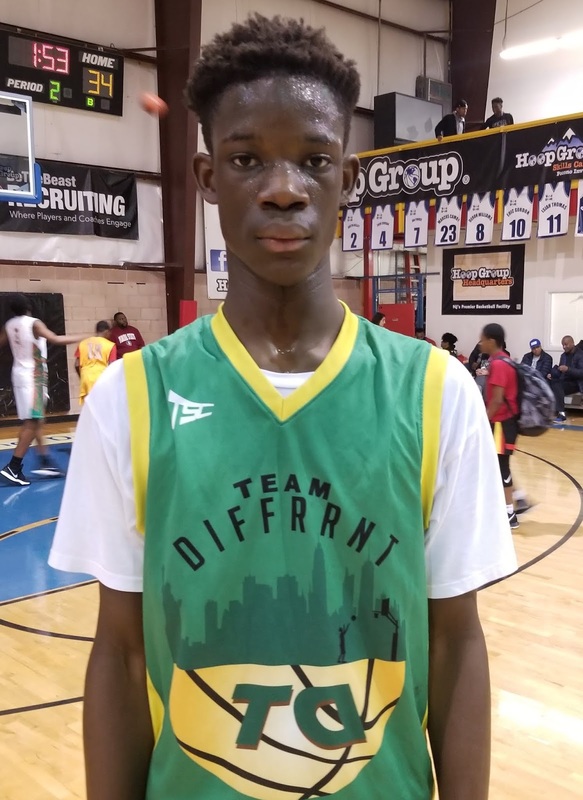 Seck Zongo Guard (Team Diffrrnt) – Seck is a big time prospect standing at about 6’4 already with elite level skills. He can play all three perimeter positions and can shoot, dribble, and pass. He can score from all three levels either off the bounce or the catch using a wide array of moves. He plays with toughness and is a willing passer. We saw him get in the lane and jump stop and then elevate with the floater over the shot blocker which was text book. We also saw him ball fake and drive using a spin move to discard the defender and then finish with a high floater off the glass. 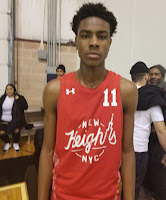 In the game we watched he scored 19 points against Team IZOD that was hounding him on defense. Isaac Hester Guard (New Heights) – Hester is a combo guard that has a high school ready frame. He attacks the basket and is very difficult to keep out of the paint. He helps his team rebound on the defensive end and then pushes the tempo. Isaac has a nice game off the bounce and understands how to change pace to keep the defenders off balance. 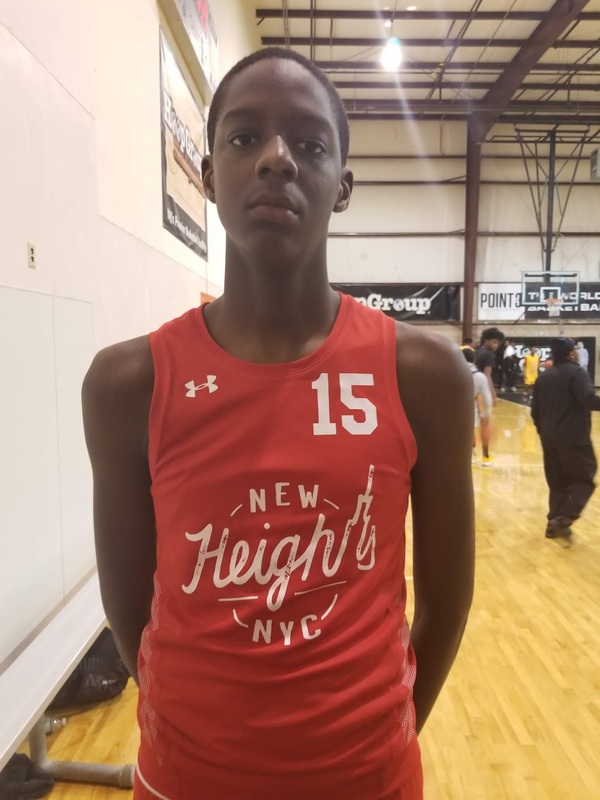 Mackenzie Mgbako Forward (New Heights) – Mgbako has to be in the conversation for one of the 5 top long term prospects in the tournament. He is a long wing that has a handle and can knock down the 3ball. 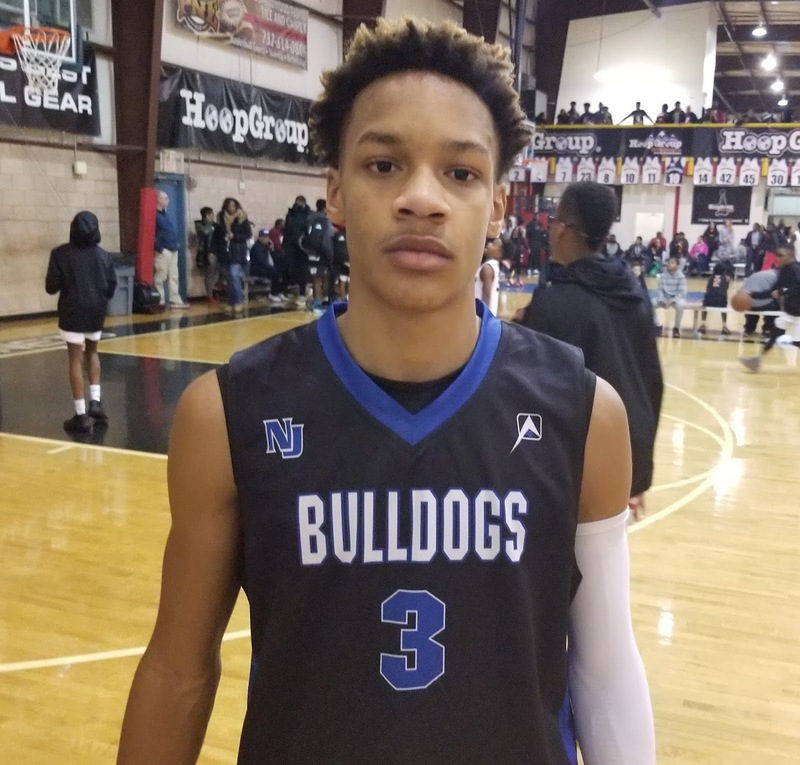 He plays within the framework of the team but you can just tell that with the right work ethic he has a chance to be special and a focal point for his HS team. A wing prospect that has prototypical height, athleticism and skill he can be a problem on both ends of the floor for the opposing team. 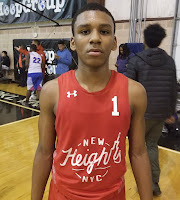 Nasir Muhammad Guard (New Heights) – Nasir is the point guard that makes his team go. He plays with a grit and toughness that is bred out of NYC. With the ability to knock down the three pointer or get in the lane and finish with his floater he keeps the defense on their heels. He also makes his free throws tallying a team high 12 points in the game we watched which included two trey balls. 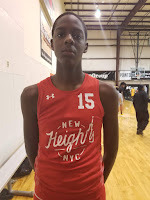 William Patterson Forward (New Heights) – Standing at least 6’8+ and still growing Patterson anchors the middle for his squad. We like his frame with long arms and his long term prospect. He can be effective on both ends of the floor rebounding and blocking shots or finishing around the rim. 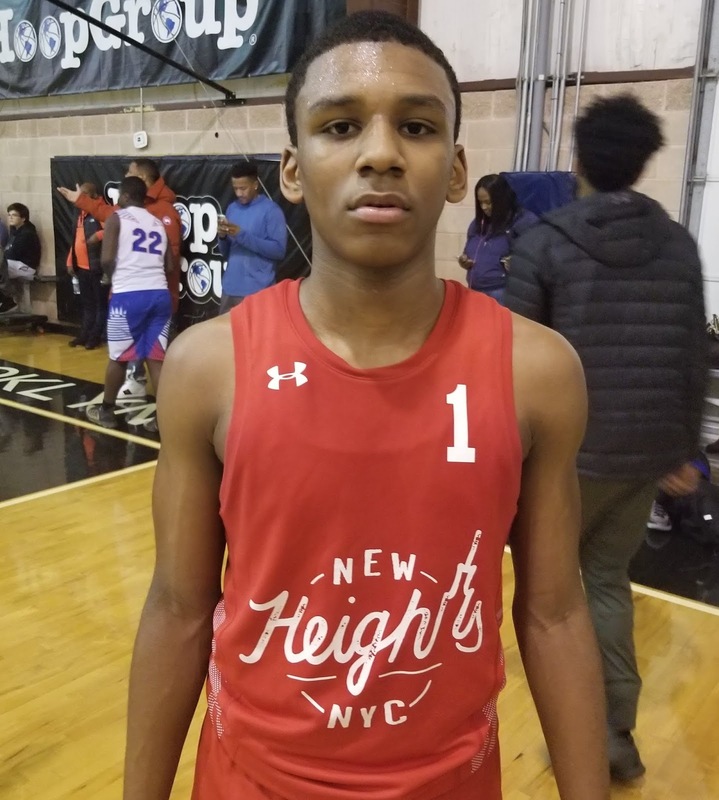 We see him as a key piece to this nicely constructed New Heights team as they move up the ranks in the HS summer circuit in the coming years.